The Japanese Government cabinet on Friday approved a bill that will allow Emperor Akihito to become the country's first monarch in more than two centuries to abdicate. The bill will now be sent to parliament, where it is expected to get passed. 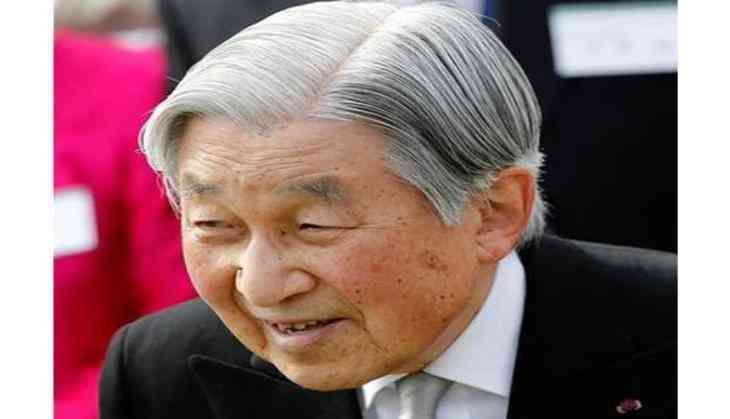 The bill will allow Emperor Akihito to hand over the Chrysanthemum Throne over to Crown Prince Naruhito. Citing sources, The Japan Times reported that the government envisions December 2018, as the appropriate time for Emperor Akihito, 84, and that the nation's "Gengo" Era name, which remains in use for the length of an emperor's reign, will likely change at the start of 2019. The bill was specifically designed for the current emperor so as to prevent other monarchs from easily following suit. Emperor Akihito said in rare public remarks last year that he feared age and his health might make it hard for him to fulfill his duties. Currently, only posthumous succession is allowed as the Imperial House Law, which stipulates Imperial matters, lacks a provision regarding an abdication by a reigning emperor. The enactment of the bill will make Emperor Akihito the first emperor to abdicate since Emperor Kokaku, who relinquished the throne in 1817. Historically, the abdication of Japanese emperors was common, with about half of the country's 125 emperors having abdicated.